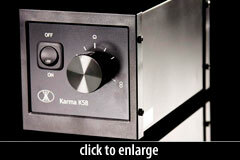 The Karma K-58 is an multipattern tube microphone, with a 9-way pattern control switch on the power supply. The tube is a 12AX7 dual-triode. Numerous owners of the K58 have reported that the mic responds well to tube swaps (specifically, to a higher-grade 12AX7). Switches on the back of the microphone provide access to a -10dB pad and a high-pass filter (-12dB/octave @ 75Hz). Like most of the Karma microphones, the mic body is wrapped in a distinctive black leather-like material. The mic ships with a heavy-duty shockmount, switchable power supply (110/220V), 7-pin cable, and a flight case. 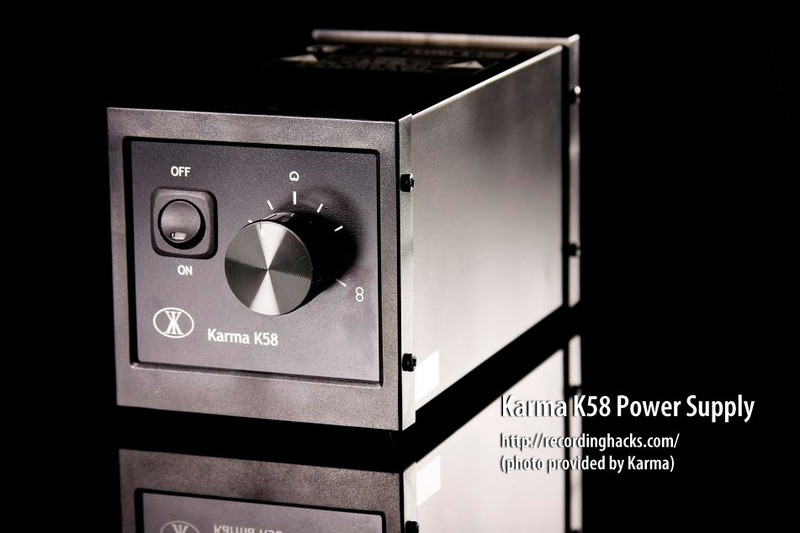 The Karma Audio K58 is also known as: K-58.